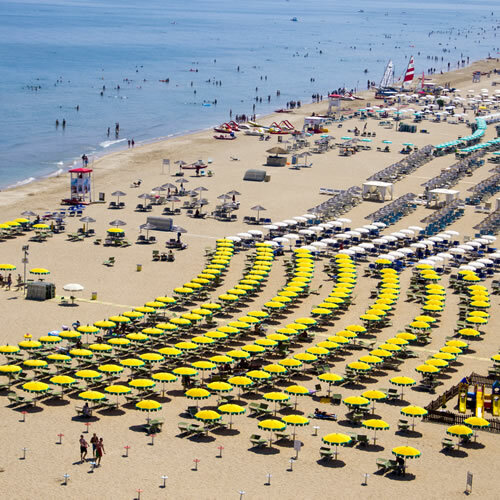 Rivazzurra di Rimini is the latest hamlet which was founded south of Rimini; it was established during the tourist boom which made Marina Centro extend to the south in order to suit the increasing requirements of tourists flocking to Rimini. Rivazzurra quickly developed as a tourist resort, like all other hamlets of Rimini. Rivazzurra gathers comfortable hotels and inns, excellent restaurants, pubs and beerhouses, numerous cinemas and popular night clubs and discos. Every summer, the local tourist committee organizes amazing parties based on grilled fish and Sangiovese wine. Among the most appreciated festivals is "GRADISCA...L'ESTATE!" (Enjoy...summer! ), which offers tourists the possibility to taste genuine local staples while listening to music, dancing and admiring outstanding fireworks. People will have the opportunity to enjoy utmost fun on the beach, accompanied by traditional folk bands from Romagna: Orchestra Monica - Tradizione Romagnola, I Bugiardi - Favolosi Anni 60..., Marco & Simona - viaggio nella musica e nel ballo, Walter- Beach sound, I Ritmo - music show (bathing establishments 108/110). Every Wednesday, a charming "Flea-market" is held here: tourists will have the opportunity to buy antiques, collector's items and local handicrafts. 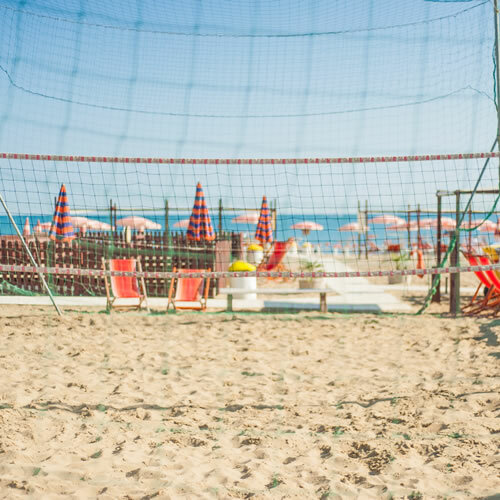 Rivazzurra also promotes cultural and sports activities: it gathers well-equipped sports centres, tennis courts and skating rinks, the latter being founded in the 80s, when this sports activity began spreading across the whole Riviera Romagnola. 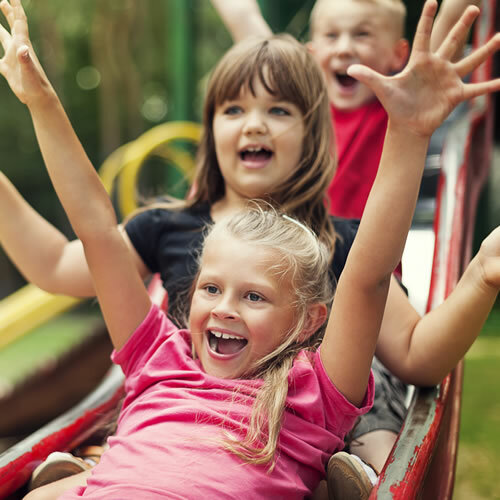 Fiabilandia di Rivazzurra, the so-called Disneyland of the Riviera Romagnola, is the ideal funfair for families with children. It is livened up by Cartoon characters, Western and Indian settings and plenty of further fairy-tale sceneries, games and attractions. Book your Hotel in Rivazzurra di Rimini. Hotels in Rivazzurra are the most modern accommodation facilities in the whole province of Rimini. The coastline of Rivazzurra offers a remarkably wide array of both sports and cultural activities. "Fiabilandia" funfair in Rivazzurra di Rimini is the ideal holiday destination for those flocking to Rimini together with the whole family. events, festivals, shows, concerts, trade fairs, sporting events"